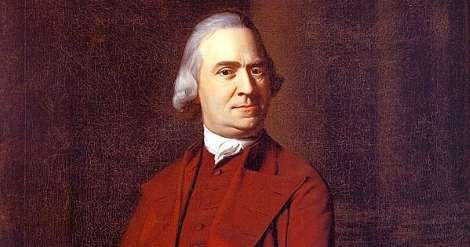 The summer White House has been a feature of presidential life since John Adams returned to Quincy, Mass., to get away from the muggy heat of Washington, D.C. Spending time away from the nation’s capital also allowed presidents to sense the country’s mood and to thank their wealthy donors. 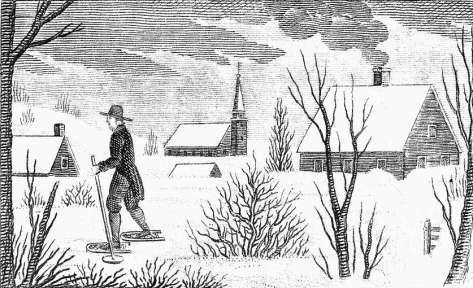 New England’s wealth and cool weather attracted presidential families in the days before air conditioning. 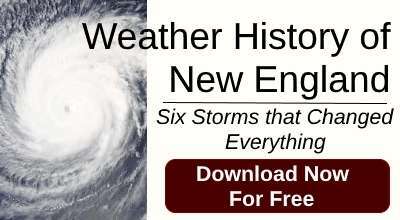 Here are places in each of the six New England states that became a summer White House. The Thimble Islands, Branford, Conn. According to Connecticut legend, President William Taft spent part of a presidential summer on the Thimble Islands. 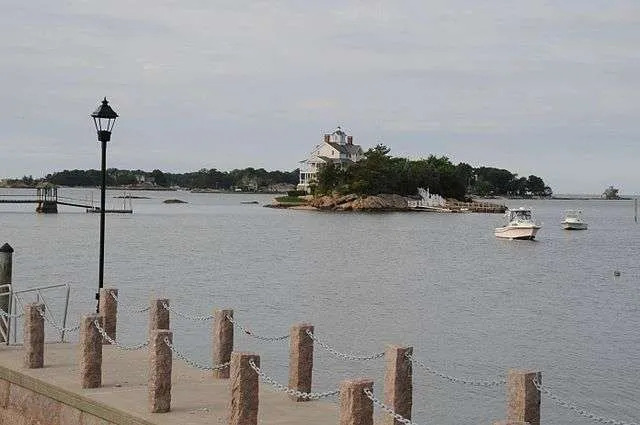 The Thimbles are an archipelago of 365 small islands off the coast of Branford in the Long Island Sound. 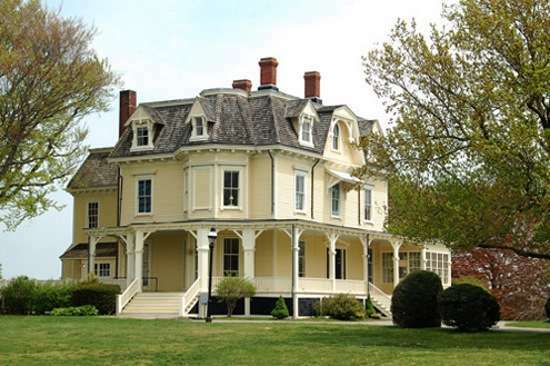 The Branford Historical Society cautions that Taft probably only visited the Thimbles as a Yale student, though ConneticutHistory claims Taft had a summer home there for two years in the 1900s. 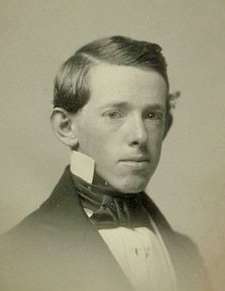 Rutherford B. Hayes did visit Branford as president. 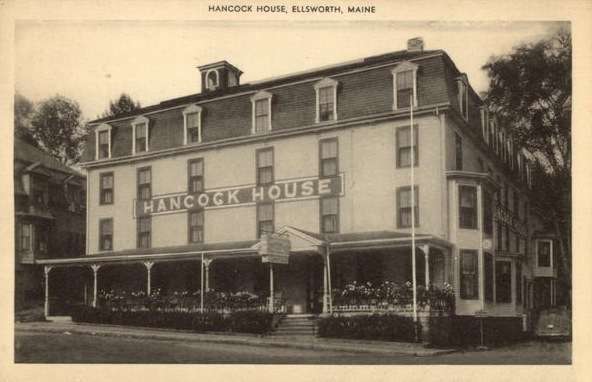 His grandfather was born in Branford, and his great-grandfather had built the Totoket Hotel on Main Street. 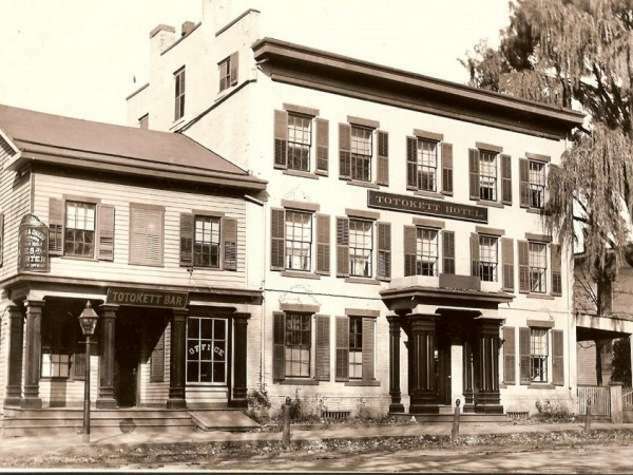 In 1889, President Hayes came to Branford to see the hotel his great-grandfather built. He was presented with an axe made by his great-grandfather at a large reception outside the hotel. 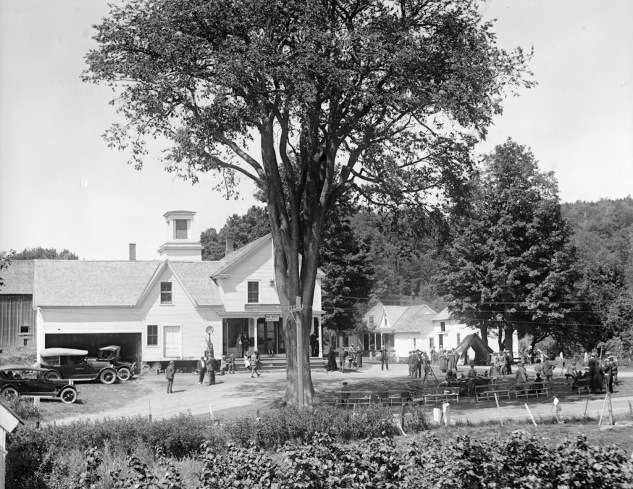 Totoket Hotel, photo courtesy the Branford Historical Society. The Totoket Hotel has long disappeared, but you can still visit the Thimble Islands. President Taft's first summer White House in Beverly. President William Howard Taft's summer White House started out in Beverly, Mass. His staff ran the government from borrowed offices in downtown Beverly for four summers. Taft's first hostess in the city got sick and tired of Secret Service interference, nosy tourists and the hubbub surrounding the president. She told Taft not to come back at all. 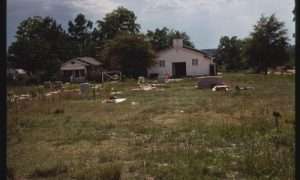 She said she'd tear down the house, located at Lynch Park. Instead, she cut it in pieces, floated it across the harbor to Marblehead and left Taft to move to a new house in the neighborhood. Perhaps to lighten the burden on Beverly, Taft announced with great fanfare in July of 1910 that he would make an extended trip to Maine. With stops planned for Eastport, Bangor, Ellsworth, Rockland and Islesboro, Taft would base his operations in Bar Harbor. There, he would stay on the 273-foot presidential yacht Mayflower, with its crew of 200. Taft first touched land in Eastport, delighting residents for whom a presidential visit was a once-in-a -lifetime event. From there he sailed on to Bar Harbor for a three-day stop. Taft spent much of his time shuttling between dinners at the homes of wealthy summer residents, taking coaching parties and playing golf. This caused a bit of a stir among year-round residents, which Taft deftly tamped down by giving a speech on the town bandstand. "The three days that have passed in Bar Harbor will be red letter days in my life," he told the crowd. "The air is like champagne in a Prohibition state, and without the uncomfortable consequences that follow imbibing that liquor." Avoiding controversy, he concluded his speech with a round of praise for vacations. 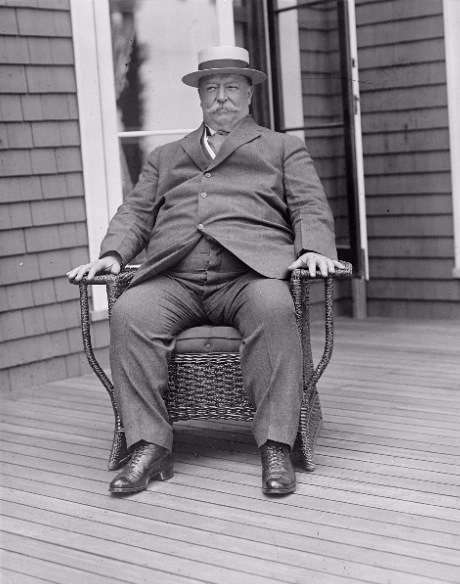 However, Taft's visit to Bar Harbor, Northwest Harbor and Seal Harbor were not all a walk in the park. He shot a 23 on a single hole during one round of golf when he couldn't extricate himself from a particularly troublesome sand trap. On the same course, the 300-pound-plus president tripped painfully and strained an ankle. 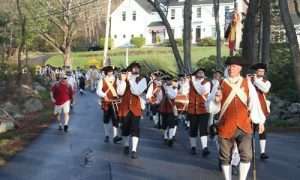 And, when he spoke to a crowd in Ellsworth, pickpockets made off with hundreds of dollars from unsuspecting Mainers who came to hear him speak at the old Hancock House. Most of the spots Taft visited are either gone or in private hands, but a few survive. The Bangor House hotel is still at the corner of Main and Union streets, though it’s now housing. Taft participated in services at the stately Ellsworth Congregational Church. 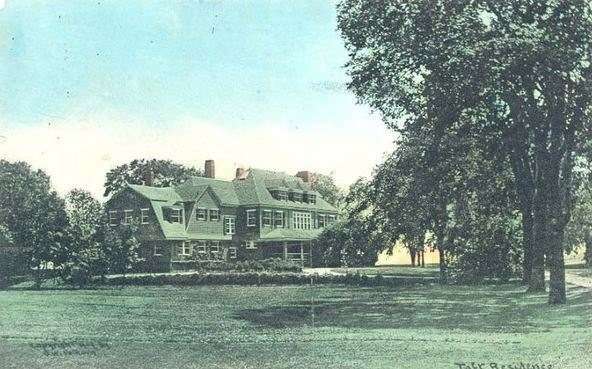 He took tea at the Jordan Pond House and, of course, the Kebo Country Club -- scene of Taft's rough game -- remains open to this day. The summer cottage that Joseph P. Kennedy rented in Hyannis Port in 1926 would eventually become the summer White House. Hyannis then (and now) belonged to the Irish Riviera. The waterfront house had commanding views of Nantucket Harbor. 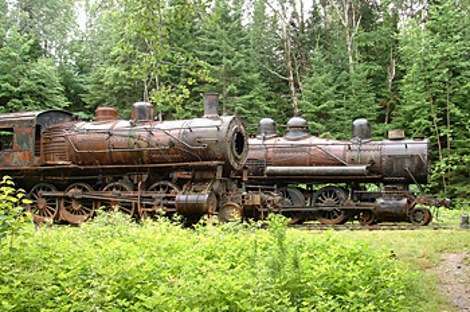 Kennedy bought it in 1928 and set about enlarging and improving it for his growing family. It had six bedrooms and four servants’ rooms on the second floor, a wine cellar in the shape of a ship’s hull and a motion picture theater in the basement. 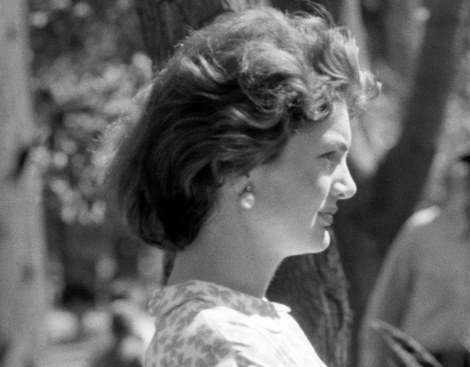 In 1956, Joseph Kennedy's son John bought a smaller home of his own near the big house. In 1959, the youngest child, Edward, bought a house next to the other two in 1959. 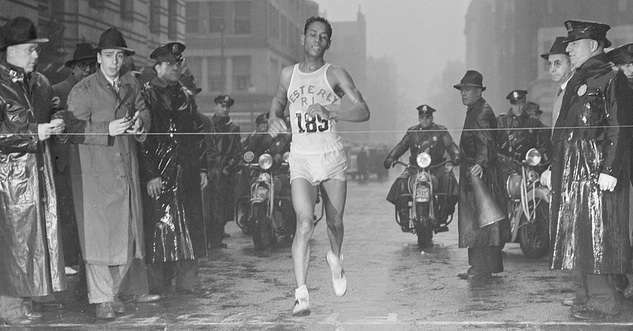 He sold it to his brother Robert and his wife Ethel in 1961, and later bought another home nearby. John F. Kennedy used the compound as his headquarters for his 1960 campaign for president. He then used it as the summer White House during his presidency. 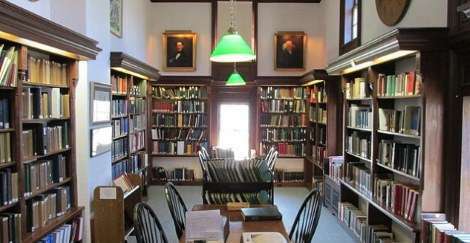 The main house was recently donated to the Edward M. Kennedy Institute for the Senate. The compound can’t be visited, but it can be seen from the tour boats that leave from Hyannis. 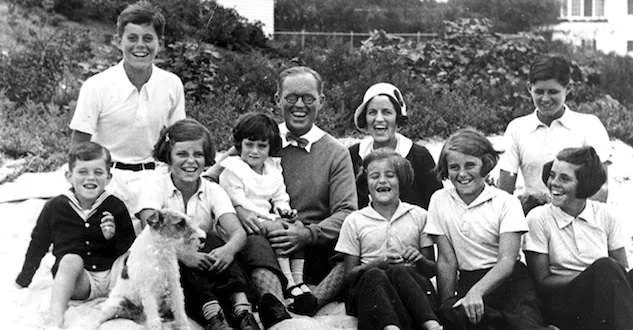 To see rare photos of the Kennedy family at the Hyannis Port compound, click here. Woodrow Wilson spent several weeks in the summers of 1913 through 1915 at Harlakenden, a country estate in Cornish, N.H. Wilson leased his summer White House from Winston Churchill – the American Winston Churchill, a writer who lost a race for governor of New Hampshire in 1906. 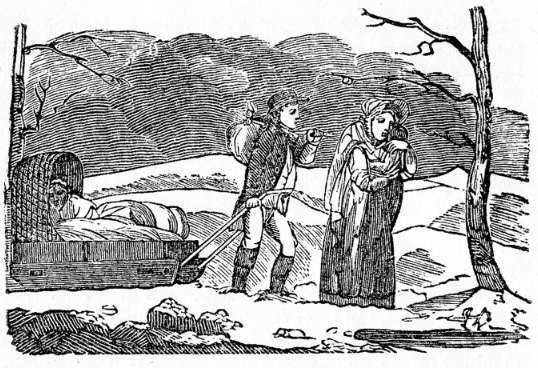 Harlakenden sat on a bluff overlooking the Connecticut River. Cornish was the center of an art colony of about 100 artists, writers and politicians from about 1895 to the end of World War I. 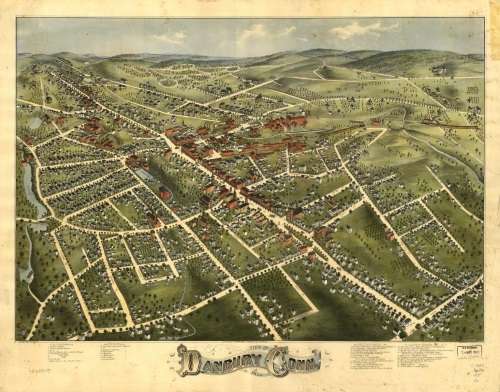 It stretched from Windsor, Vt., to Plainfield, N.H. Augustus Saint-Gaudens was the central figure in the colony, which included Ethel Barrymore, Frederic Remington, Daniel Chester French, Isadora Duncan, Maxwell Perkins and Maxfield Parrish. On Sept. 12, 1913, a play called Sanctuary: A Bird Masque was performed in Cornish with Wilson, his wife and the British ambassador in the audience. Miss Eleanor Wilson played the lead role and Miss Margaret Wilson sang the opening song, The Hermit Thrush. The play’s theme was the senseless slaughter of birds for frivolous purposes. The occasion was the dedication of the Meriden, N.H., bird sanctuary – one of the first in the nation. At the time, the Underwood Tariff Bill was in Congress . Bird-lovers everywhere wanted to ensure the bill included a ban on importation of bird feathers for decorative purposes. The play helped keep the heat on. Wilson returned from his summer White House early because the tariff bill had passed, with the language about birds intact. 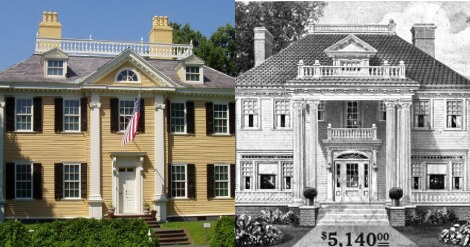 Harlakenden burned to the ground, but the Cornish art colony survives as the Augustus Saint-Gaudens National Historic Site. In 1957, President Dwight Eisenhower and his wife Mamie decamped to the Naval Base in Newport, R.I. There he dealt with the crisis over school integration in Little Rock, Ark. He also summered in Newport during his presidency in 1958 and 1960. 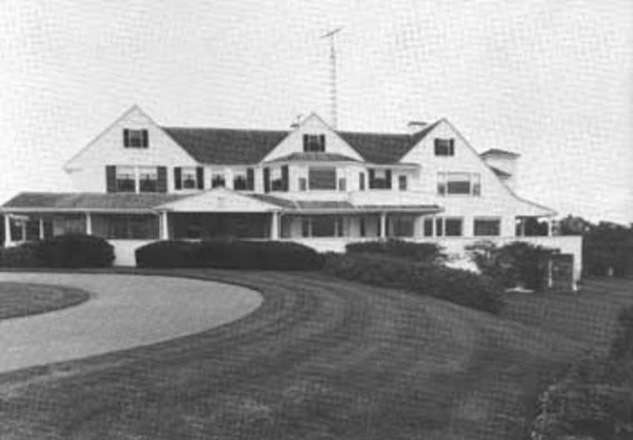 At first in 1958 Eisenhower stayed at the Naval War College on Coasters Harbor Island, but he wanted to be closer to the golf course at the Newport Country Club. So he moved to a mansion at Fort Adams for two summers in Newport. Now called Eisenhower House, it was built in 1873 for Gen. Henry Jackson Hunt, a Civil War artillery officer. The house has stunning views of Narragansett Bay and Newport Harbor. It now belongs to Fort Adams State Park, and you can rent it for weddings and social events. For more information click here. Calvin Coolidge was sworn in as president of the United States while vacationing at his boyhood home in Plymouth Notch, Vt.
His father, a notary, swore him in at 2:47 a.m. on Aug. 3, 1923, hours after President Warren G. Harding died. 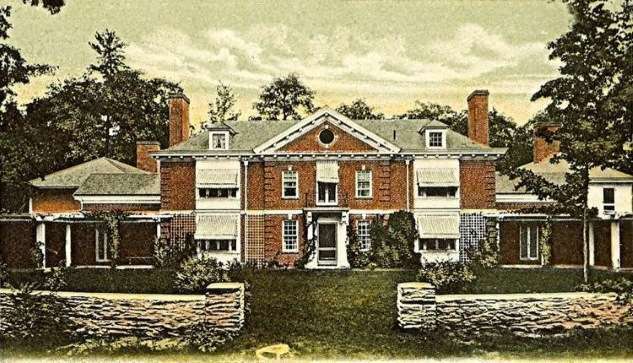 Though Coolidge spent most of his adult life in Northampton, Mass., he often visited his family home. It is a modest white frame farmhouse in the classic New England style of big house, little house, back house, barn. The Secret Service detail assigned to him slept in tents on the property, and a dance hall nearby served as his office in the summer of 1924. 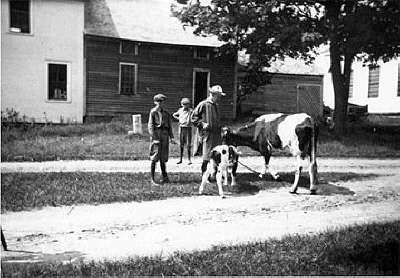 Today Coolidge's birthplace and surrounding buildings are the Calvin Coolidge Homestead District, which includes the Cilley General Store, the Post Office, the Wilder Restaurant (serving lunch), the church, several barns, the dance hall and the Plymouth Cheese factory. For more information click here. 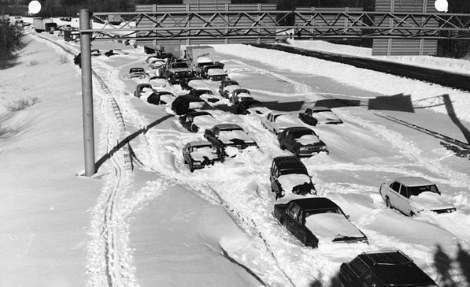 Coolidge expressed his feelings about his home state in an eloquent speech that followed the disastrous flood of 1927. Photo of the Thimble Islands by JERRYE & ROY KLOTZ, M.D. - Own work, CC BY-SA 4.0, https://commons.wikimedia.org/w/index.php?curid=49575458. This story about the summer White House in each state was updated in 2018.